*Free Shipping on all orders over $75! Available in the US continental 48 states. Available in 3 sizes and 6 colors, our Neck Brace has been specifically designed to provide all the support of a traditional brace, with added comfort to wear. 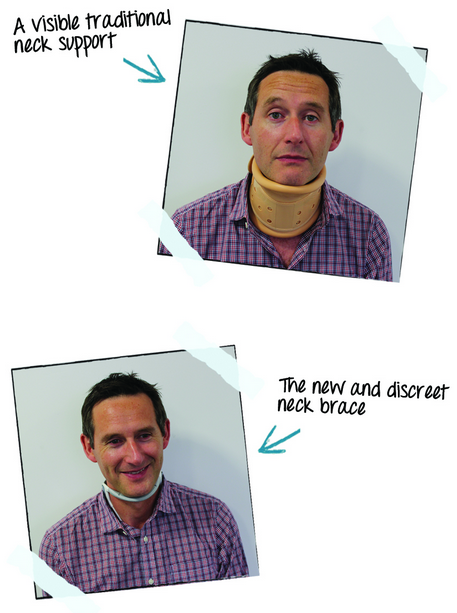 Additionally, the Neck Brace also helps to relieve pain and improve posture in your neck and upper back. By taking the weight of your head off your neck and shoulders the Neck Brace allows any damaged soft tissue and muscles the time to recover. It also helps to improve posture by correctly aligning your head with your neck. Furthermore, with the included Cool Pad, the Neck Brace can help to reduce pain and swelling further through cold therapy. 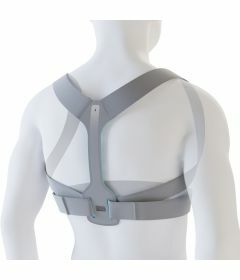 In addition to being discreet, functional and stylish, the Neck Brace also has a easy to use velcro fastening on the back of the brace, as well as cushioned padding on both the chin and chest area. How long can I wear the Neck Brace for? 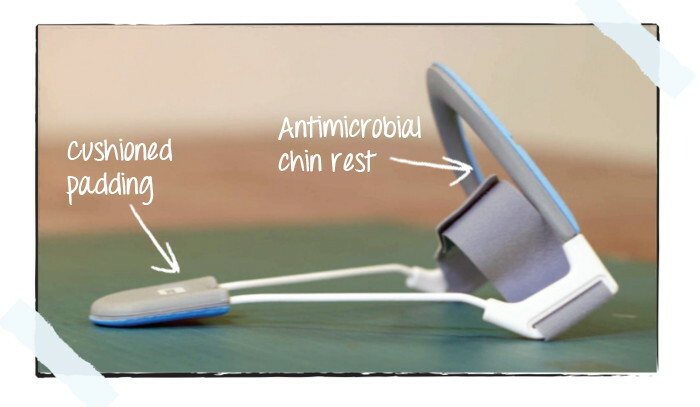 You will need to measure the base of your neck to ensure you buy the right size. Please see our measuring guide under the 'Sizing Info' tab on this page. Can I drive with the Neck Brace on? Can I wear the Neck Brace while I sleep? The Neck Brace is not suitable and should not be worn while you sleep. 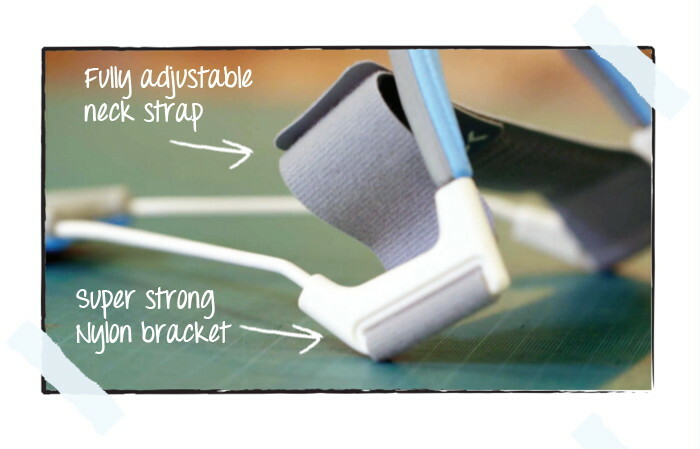 The Neck Brace, Cool Pad, Cool Pad pouch, extender strap and instructions are all included within the box. If you prefer heat therapy, our Heat Pads are available to buy separately. 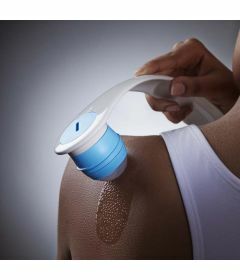 No More getting your hands all sticky! 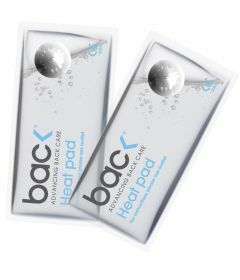 Add some heat therapy to your bac< product with our Heat Pads. Our easy to use Heat Pads are an excellent addition to either our Back Brace or Neck Brace, to provide additional pain relief. 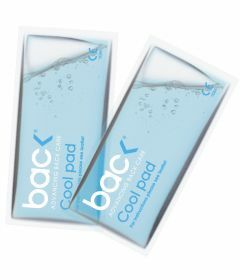 Add some cold therapy to your bac< product with our Cool Pads. Easy to use Cool Pads are an excellent addition to either our Back Brace or Neck Brace, to provide additional pain relief.